Alita: Battle Angel has been in theaters for four weekends now. During that time, the movie has capably exceeded box office expectations, both domestically and internationally. It recently even hit $350 million at the worldwide box office, trailing only two other movies internationally so far this year, How To Train Your Dragon: The Hidden World and the Chinese hit The Wandering Earth. Yet, it probably won’t be enough for Alita: Battle Angel to earn a sequel. Nearing the end of its fourth weekend at the box office, Alita: Battle Angel has raked in over $380 million worldwide. Domestically, it has earned nearly $75 million, while the rest of the intake comes from the worldwide box office. The movie allegedly cost $170 million to make, per Box Office Mojo, and therein lies the problem. First and foremost, production budgets on movies don’t factor in the cost of advertising that studios also pay to get ads onto Internet sites and regular TV screens, so the overall cost of Alita: Battle Angel is somewhat higher than its production budget. Factor in all of the costs Fox put in with the fact the studio only gets to keep a percentage of box office intake and elsewhere in the world it’s a much smaller percentage than in domestic theaters and it becomes easier to see how we got to this conclusion. To be clear, Alita: Battle Angel has exceeded early box office expectations. Prior to its release, the expectation was that the movie would only make $25 million domestically during opening weekend and eventually go on to make $45 or $50 million in theaters. Because it opened during a 5-day weekend near the Valentine’s Day holiday, the film ended up making closer to $42 million domestically, which was a decent start. This is sort of a problem similar to the one Solo: A Star Wars Story faced last year when it made quite a bit of money worldwide, but had a large (too large) budget to recoup costs. 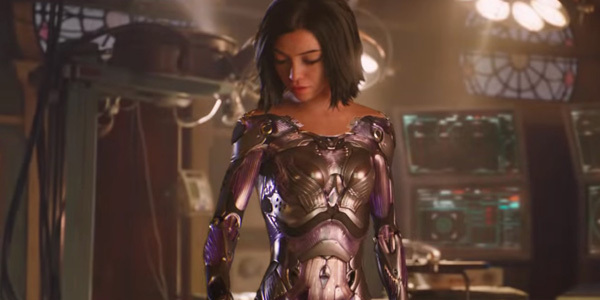 The movie should be in theaters for some time after, and it’s possible when all is said and done that Alita: Battle Angel could even make a little money at the box office. However, even if the flick does come out ahead, another big budget gamble of that ilk is likely a hard sell to the powers that be who are greenlighting these sorts of projects. So, despite the open-ended way Robert Rodriguez ended his big budget action film, we are not likely to get the opportunity to see what comes next. Note I’m saying “not likely” rather than impossible, but it’s certainly a tough sell. That’s especially true given Alita: Battle Angel is also coming from Fox at a time when Fox is selling to Disney. If it’s not a huge hit, there’s not really an incentive for the latter studio to sign on for more later, especially when James Cameron is so busy with Avatar 2 and the subsequent movies. It’s a bit of a shame, though, for a movie that was already a flick James Cameron wanted to make way back when Robert Rodriguez was filming Sin City and landed an A- CinemaScore. Would You Like To See Alita 2 Happen?